We’re looking for a great photo to be featured as the 2015 PADI Diving Society membership card. The winner will get a certificate, a shout-out on Facebook and their image shared with more than 175,000 Society members worldwide. 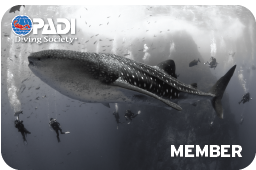 To get an idea of what a winning image looks like, check out last year’s PADI Diving Society membership card. 15 years of Total Sub and counting!